This study, which never would have happened without federal funding for cancer research, will transform care immediately, and for the better. These data provide critical reassurance to doctors and patients that they can use genomic information to make better treatment decisions in women with early-stage breast cancer. 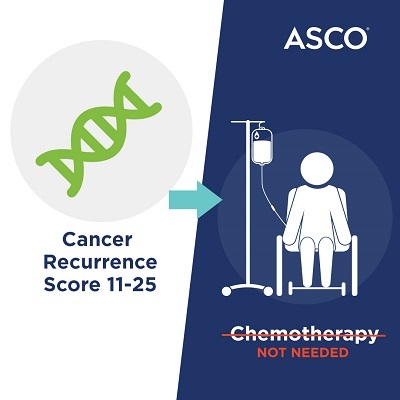 Practically speaking, this means that thousands of women will be able to avoid chemotherapy, with all of its side effects, while still achieving excellent long-term outcomes,” said ASCO Expert Harold Burstein, MD, PhD, FASCO."